It’s long been known happy employees are more productive and less likely to leave. It is also now becoming increasingly understood employee happiness and engagement play a key role in customer satisfaction. According to psychologist and employee experience expert with Qualtrics, Steve Bennetts, employee experience (EX) is often referred to as the final frontier for customer engagement. He describes EX as typically made up of a person’s commitment to the organisation, their job involvement and their job satisfaction. 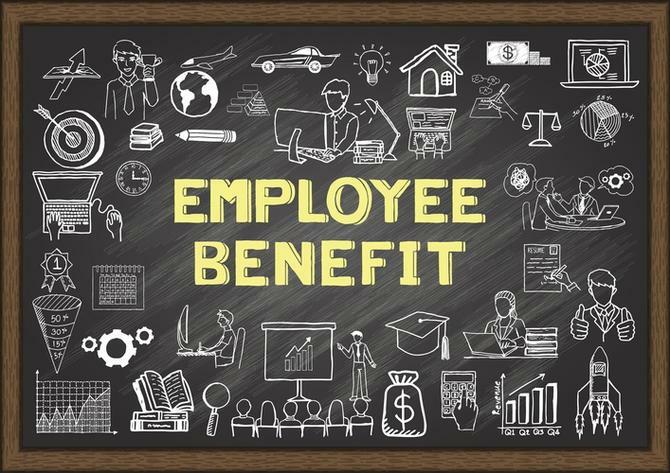 It is impacted by factors such as training and development, remuneration and benefits, management support, and the nature of the interaction employees have with customers. “It’s fantastic the CX world is now looking at employee experience, and really looking at how they can use that to bolster their customer experience,” Bennetts says. The equation also works in reverse. According to the vice-president for customer and employee strategy at InMoment, Paul Warner, dissatisfied customers can also lead to unhappy employees. “No matter how much you pay your employees, how great the working environment and the perks you provide, if they are dealing with dissatisfied, angry, upset and demanding customers, they are not going to feel they are having a very positive impact, and it can be a very negative experience for them,” Warner says. This most commonly shows up in increased attrition rates or requests for internal transfers. Harder to detect, but equally problematic, are those employees who stay with the organisation but mentally check out. “And the more you turn over your staff, the less consistent the customer experience will be,” Warner says. So how can organisations go about measuring and impacting the experience their employees are having? And can a state of continuous feedback ever be achieved? Just as with CX programs, the first step to EX is measurement, usually undertaken through surveys. The most common metric used is the Employee Net Promoter Score, which delivers a snapshot of employee loyalty engagement. Warner says employee surveys already tend to demonstrate a strong connection to CX. He says text analytics of open response fields can do a lot more to elicit useful responses than bombarding employees with dozens of questions. “We might ask a few structured questions, but what we are really interesting is in their comments and their narratives, their stories, because we have text analytics that can pick up and quantify those themes,” Warner says. It is essential to frame questions in a way that does not prime the response negatively by asking about problems. Employees may also be reticent to provide feedback on some questions that they perceive as critical of their teams and co-workers. Bennetts says it is essential the purpose of the exercise is clearly articulated. 3.Make employees part of the solution. One of the most common frustrations with EX programs occurs when employees believe their feedback is not being listened too or acted on. “Collecting data without action is a classic mistake,” Bennetts says. “People fundamentally want to give feedback about what is happening in their world, especially when they are really attached to an organisation. What they get annoyed at is the lack of action as a result of giving feedback. Bennetts says it is important when setting up the program to understand the organisation’s ability to action data and base the frequency of the channels opened up against the ability to process the data. Another key problem is making employees are aware of the changes that have taken place. Town hall meetings or division or team-based sessions can prove useful, but can also be time consuming and difficult to organise. Warner says simple top-down communication tends to have a lot read rate. However, when changes are communicated via a survey, such as asking whether a change has made an impact, the read rate rises to around 75 per cent, and also ensures that employees are aware of the changes. Survey fatigue is a very real, and Warner says research from InMoment suggests surveying employees up to four times a year is OK. The burden of responding can be reduced, however, through use of freeform text fields and text analytics to create a more qualitative approach. Warner says EX programs can themselves lead to another form of fatigue, however, in terms of the workload of those employees tasked with responding. This results in front-line managers and team leaders being over-taxed. In the worst-case scenario, this can see them become burnt out and unwilling to follow up with any customers. Warner says it is important to ensure issues are routed to the most appropriate responders, which in some cases might be to corporate or marketing, rather than dumping everything with team leaders. Once employees are more familiar with the process of providing feedback and have seen they can affect real change, it is then possible to switch from a push strategy to one that is always on, using text analytics to constantly gather and analyse responses and suggestions. This might also include the creation of an internal customer committee, bringing in members from across the organisation, which meets on a more frequent basis. Bennetts has seen some organisations evolve from collecting one piece of data every two years to collecting up to 180 different points of data and creating our predictive models to understand where an employee is potentially going to exit the system and intervene. “The predictive analytics that are coming out right now and the modelling we have are the biggest transformation in the EX space, so we have moved beyond descriptive and into the predictive space,” Bennetts says.